Sometime today, Benja Aquila will have achieved 50,000 pageviews for his excellent blog, simply entitled Benja Aquila's blog. Benja's blog covers LGBT destinations and developments in Second Life, and LGBT(Lesbian, Gay, Bisexual, Transgender) issues and personalities the real and virtual worlds. 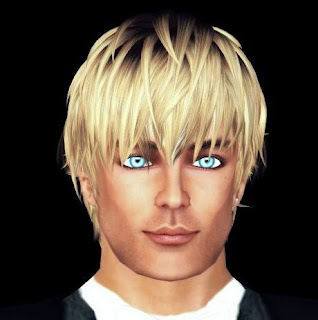 As many of you readers know, Benja is my partner and husband in Second Life, and soul mate in any life. What is remarkable about this is that Benja gained all these page views in under 7 months. This is a real achievement. Benja tells me he is now getting hits at a rate of well over 10,000 a month, and is continuing to grow. In addition, Technorati, the blog search engine, says that Benja's blog is among the 15 most influential worldwide (not just Second Life) blogs published on LGBT issues. You can check this out by putting LGBT in the Technorati Search Engine (select blogs) to see the results. My handsome partner Benja Aqula just reached 1,000 page views in four weeks with excellent blog. 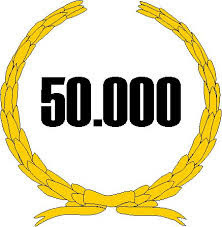 I want to congratulate him for reaching his first milestone so quickly, and want to let him know that his first 50,000 hits will be here before he knows it. I now predict that if he keeps it up, he will break the magic 100,000 number by November 10, his first anniversary publishing. Without you... nothing of this could be possible... thanks my love!! !